It’s been a real long time. I spent the summer focused on 1:1 trains and couldn’t find the interest to continue on with The Industrial Lead. But the last couple of weeks I’ve been back at it. 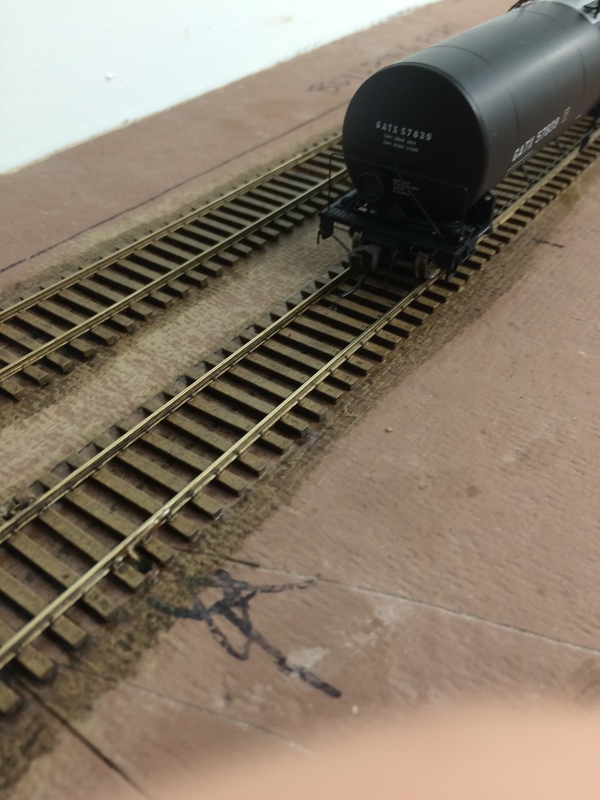 I’ve given up on Proto:87 and handlaying track in HO. I laid all my track (save one stick of ME code 70) and soldered half of it. Great to see you getting back to modelling, Greg! I’ve been checking in your project and it’s terrific to read an update. I think this is going to be a terrific layout and I really look forward to further updates. If Proto87 was not increasing your enjoyment, then making the switch is smart. Some of us bang our heads on our ideals and make the hobby harder resulting in reduced enjoyment. Looking forward to progress on your layout. It’s design speaks to me…. Spot On! I do a lot of head banging when it comes to this hobby. I think I’ve found an avenue to pursue hand laid track in Proto:48 and I’m going to focus on good enough for The Industrial Lead. I’d like to finish this layout and have it operational. The track plan is pretty much as planned. Once I get the feeders in I’m going to unpack all of those corn syrup cars and test it for a while. Indeed, welcome back. Sorry to hear that P:87 didn’t work out but no matter the looks, unreliable operation does no one any good. Now that the track is in, did the actual follow the plan? I’m always curious about that, because I’ve changed every single one of the “best” plans I’ve had during tracklaying. Back to Big Wheels How Deep is Your Flange?